Our products have been developed based on the seasonal trends with innovative, fresh collections; which contains the classic elegance and fashion beauty in various styles. High heel antique metallic elegant sandals. 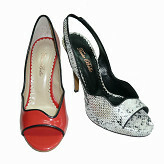 Available in both leather & non-leather sole. Peep-toe high heel fashion sandals. 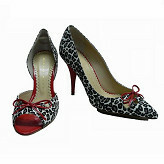 Made with laser cut by luxurious patent leather and 95mm heel.